Blue Bell has gone and done it again…released a new flavor ruining our New Years resolutions. Raspberry Fudge Brownie has hit the shelves just in time for Valentine’s Day and is perfect to share with someone special. 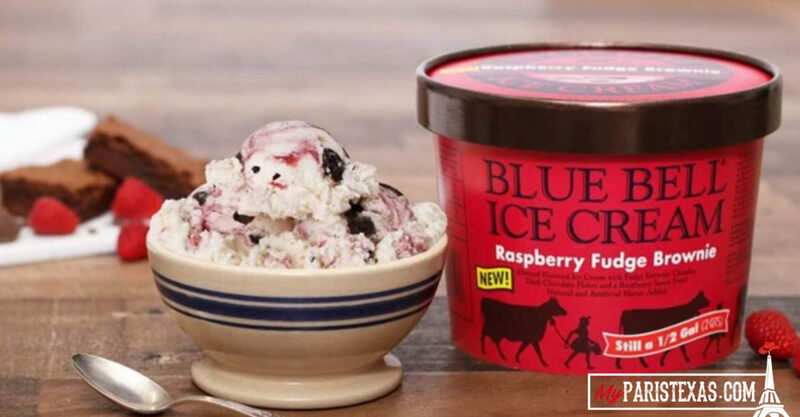 The company says their newest creation is an almond flavored ice cream with fudge brownie chunks, dark chocolate flakes, and a raspberry sauce swirl. The new flavor is available for a limited time only and comes in half gallon pints. Photo courtesy of Blue Bell.